Grand Junction – The Colorado Mesa University Department of Art and Design announced Conscious Reflections — the third of four art exhibitions in 2019 that will showcase CMU students’ work. Open to the community, 437CO, the CMU downtown art gallery, will feature the exhibition beginning April 5. The exhibition will feature ceramics, sculpture and printmaking by graduating seniors from the BFA Studio Art program. Students coordinate their senior exhibits as preparation for future professional careers in the visual arts. Conscious Reflections will showcase the work of four student artists. Alaina Bittner’s sculptures are driven by science and a compulsion for understanding natural surroundings. 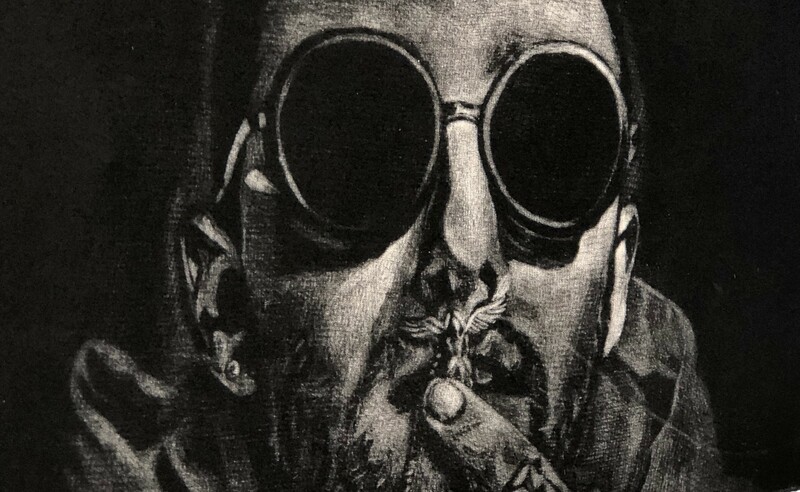 Charli Gonzales creates mezzotint prints of figures juxtaposed with physical mementos to explore the idea of the memento mori, or reminder of death. The mezzotint process involves burnishing highlights from a specially prepared plate that prints as black, giving her figures the appearance of emerging from the shadows. Hannah Martin’s paper-like ceramic forms feature bold colors and animals to address themes of memory and language. Her colorful cast of mascots and broken conversations are intended to create new memories while reliving old ones. Troy Utley’s two-dimensional narrative pieces incorporate robots, religious imagery and dramatic poses to create peculiar situations with no correct interpretation, encouraging the viewer to freely engage their imagination as they look at the work. Professor of Art History, Meghan Bissonnette, PhD, believes senior projects are always so highly anticipated because their efforts are a culmination of creativity cultivated during their time at CMU. CMU President Tim Foster plans to visit the exhibition and agrees with Garner’s assessment. A community reception will include student artists and begins at 5:30pm on April 5. The opening event will feature wine from Carlson Vineyards and beer from Palisade Brewing Company.